Apex waste has over 300 skip bins in sizes from 2.5 to 35 cubic meters. We can deliver Monday to Saturday and Sunday by arrangement in one of our 8 trucks. 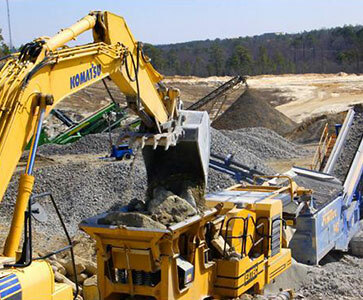 We supply top soil, garden mix and crushed brick and concrete at very competitive prices. 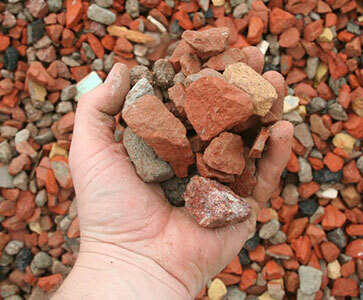 Our reclaimed fill products are suitable for filling in excavated areas, as a roadbase or for driveways. Apex Waste Control is one of the largest waste management providers for Melbourne's metropolitan areas. Based in Melbourne's western suburbs, operating for the past 30 years handling the disposal of domestic, commercial, industrial and building waste. We pick up and deliver our bins 6 days a week. Short & long term bin hire are available. For all your rubbish cleanup, Garage Sale, Spring Clean, Deceased estates, Demolition, Construction, Landscaping and Factory Cleanup or Home Renovation, call us today for a quote. We have over 300 skip bins in sizes from from 2.5 to 35 cubic metres. We can meet your needs 7 days a week by arrangement. Click here for a listing of our Bins and Sizes. Walk-in bins, Wheelbarrow access bins, Crane bins, Hook bins... we have them all. We offer prompt delivery throughout Melbourne. 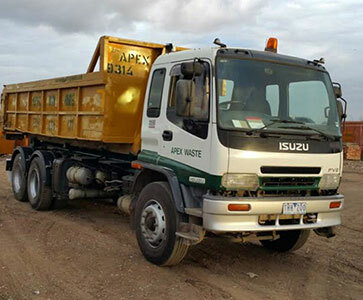 Not only do we have Rubbish bins and rubbish skip hire in Melbourne, we deliver skip bins to nearby regional town so if you are in the Eastern Suburbs, Northern Suburbs or Western Suburbs we have you covered for your next Skip Hire.